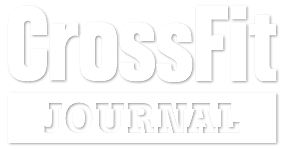 “Me Three” Teams of 3 for Time 100 Pull Ups 100 OHS 75/55# 80 Box Jumps 80 Thrusters 95/65# 60 Toe to Bars 60 Front Squats 40 Burpee Box Jumps….. Strength: 1 Rep Max Sumo Deadlift – 15 min “Fight Gone Bad” Three rounds of: • Wall-ball, 20/14# (Max Reps) • Box Jump, 20″ box (Max Reps) • Push-Press, 75/55#…..
“32 Hokies” 7 rounds for time of: 4 Squat Clean & Jerks (135/95#) 16 Deadlifts (135/95#) 32 Double Unders Time cap 30 min Today marks the 12th anniversary of the Virginia Tech….. Strength: E2MOM x 10 min 3 Push Jerks + 2 Split Jerks @ 80% of Push Jerk 1 rep 3 Strict HSPU WOD EMOM x 12 min Min 1: 15/10 cal….. Goat Work 15 min Conditioning Partner WOD For Cals (15 min running clock every :90 seconds) Partner 1: 90 second Assault Bike Sprints Partner 2 3 Wall Walks Switch x…..